On-Point Repairs for Off-Road Driving- Jeep Wranglers are off-road machines, which means wear and tear on your vehicle’s body. For 1987–1995 Jeep Wranglers, the years both on and off the road are starting to show. At Raybuck, we know this is a great time to consider repair panels. Imagine your Jeep looking just as good as it did the day it left the dealership. Repair panels are an inexpensive, easy-to-install way to turn back the clock and make your Jeep Wrangler look just as good as it did decades ago. Your Jeep Wrangler is more than a hobby, which means its repairs can’t be trusted to just anyone. At Raybuck, we strive to offer the largest selection of repair panels and other parts at unbeatable prices. If you need help as you browse, our experts can be reached by phone or email. You can rest assured knowing your call will be answered by a knowledgeable, helpful customer service representative who is intimately familiar with your Jeep’s model and year. At Raybuck, we choose to offer quality parts that will be long-term solutions as you continue to push your Wrangler. The parts are designed for your vehicle, they will fit your vehicle, and they won’t be out of your budget. That’s our commitment to our customers, because that’s what our customers have come to expect. 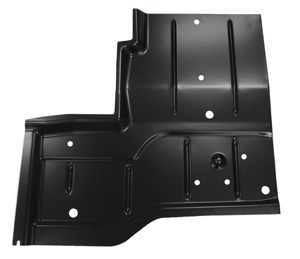 These are only the highest-quality repair panels available for 1987–1995 Jeep Wranglers. We know that these vehicles were built to be pushed and pushed hard, and we also know that imposter parts or half solutions won’t last. When you get a repair panel, we want it to continue working hard for years to come. Your Jeep works hard, but it should still look terrific. Whether you want one repair panel or a full kit, Raybuck has the body parts you need to drastically improve your Jeep’s appearance. 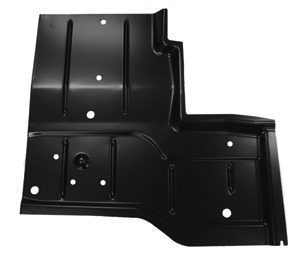 Browse our selection of Jeep Wrangler repair panels, and wipe away the off-road rash.